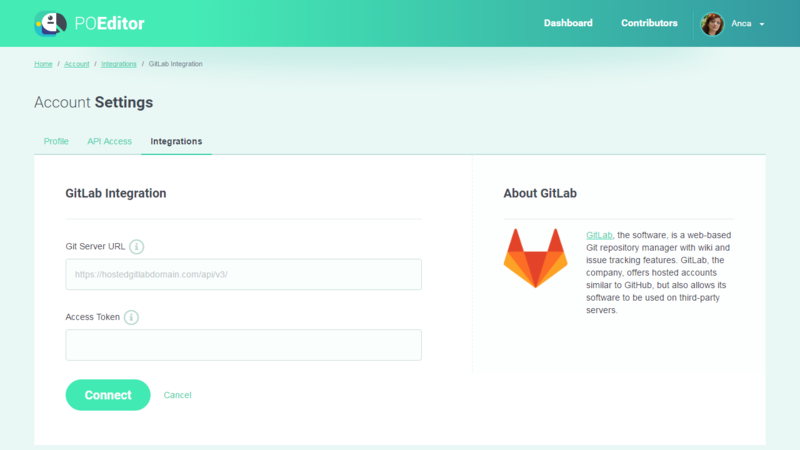 You can connect your POEditor account with GitLab to more easily manage the localization of language files hosted on this code hosting platform. Here's how. 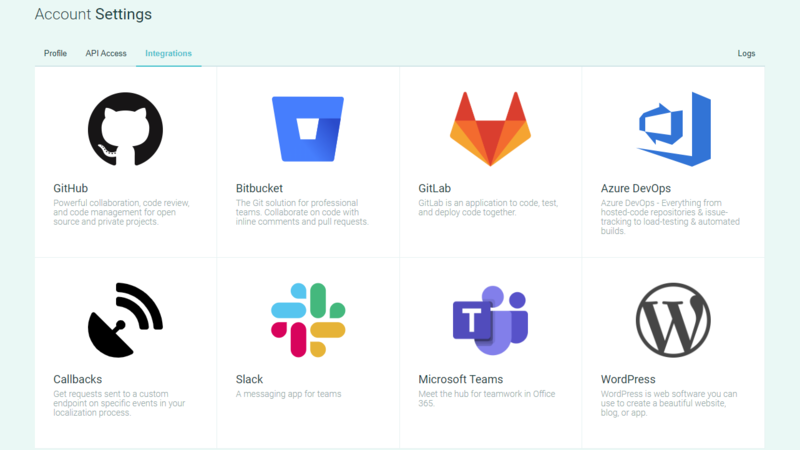 Click on GitLab and then click the Connect button. Log in to your GitLab account (if you aren't) and authorize the POEditor app. In the GitLab Integration page, select a localization project from your POEditor account and a language in this project. Link the language to the desired file in your GitLab repo. If you have GitLab Community Edition or Enterprise Edition installed on your server, you'll need to manually enter the server URL and token. 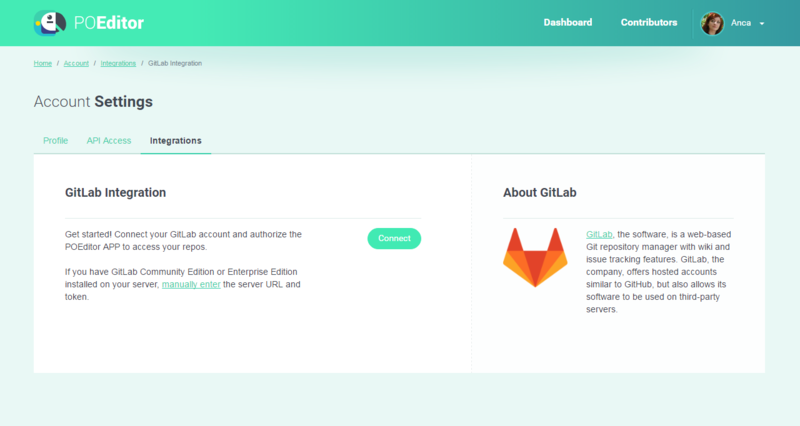 Fill in the form in the GitLab Integration page with the Git Server URL (the URL of the API endpoint of your installed GitLab version) and the Access Token (you can generate one in the Profile Settings > Personal Access Tokens) and press Connect. 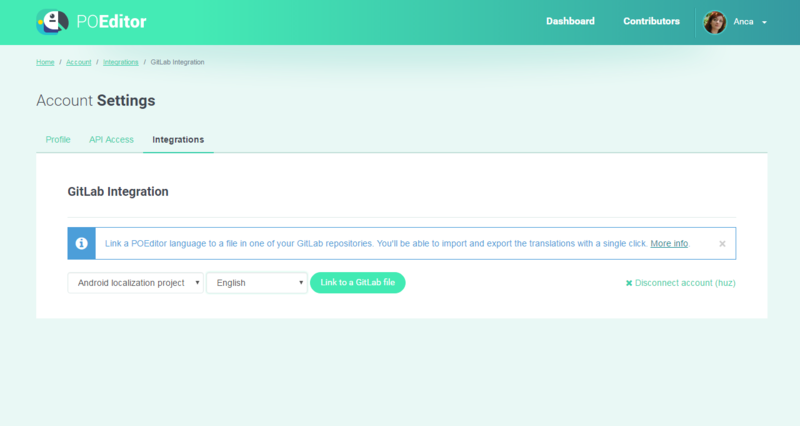 Import translations from GitLab - Imports translations from your GitLab repository to the language in your POEditor project. If project doesn't have any terms, you'll need to get the terms from GitLab first, and then import the translations. 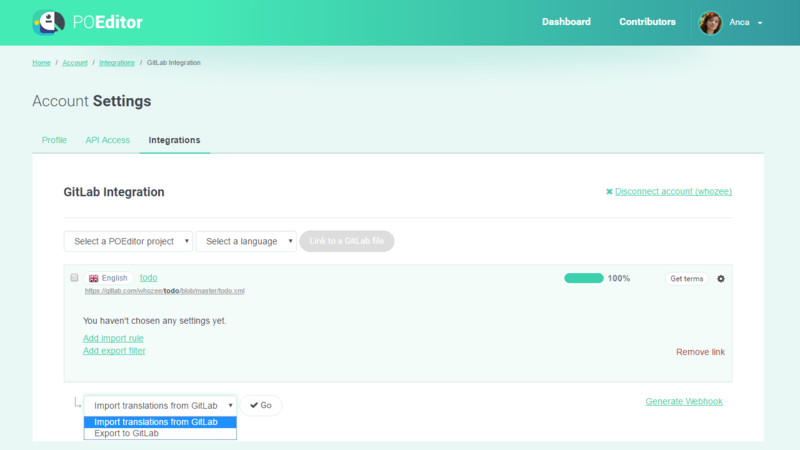 Export to GitLab - Exports your terms and translations in the linked language to the file selected by you in the linking stage. Add export filter - Adds a rule by which to export strings. You can automatically sync the terms whenever you make changes in your repos with GitLab webhooks. Here's some info about using webhooks with POEditor.